The stay in Aruba was great, as usual; however, this time we went on a time-share vacation to this brand new Marriott property. We came there on the first day that it opened to the public and stayed there for 7 days. First, to let you know, we are a young couple, without children, in our twenties ( just to have the perspective.) Below, listed are some minuses(-) and pluses(+) of this property. 1.) The hotel was still Under Construction, and as far as I know, will be under construction untill 2007. 2.) The whole scenery on the photo that shows the hotel, is actually a picture and describes what the hotel will look like in the future. All of the "lazy river", extra swimming pools and jacuzzis are not built yet. 3.) Half of the time the hot tub was not operational. 4.) Our room was tiny. Later it turned out that our room was actually part of a suite that they devided because they overbooked themselves. From TXMOM from 2010 ... It is a very long post, I am going to quote some of the relevant passages. Can go yo the link to see the original post. In today's Diario, someone from Holland submitted this theory about where Natalee's body may have been hidden. Papiamentu translation: my opinion encuanto the lugar where natalee is bury - publication: saturday, 12 june 2010. 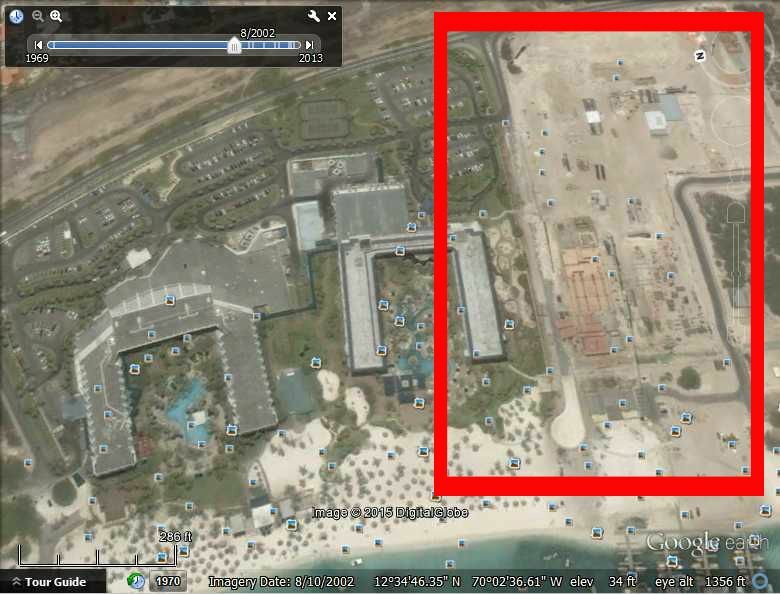 It was as clear to me now like a lump of how the fork in the stem was and why I asked in mid-May 2008 Chief Moss to take action and show it to initiate investigations on the former site of the Marriott Aruba Surf Club. But what joke my surprise when he claimed that he sent in my email, stating my full theory, with drawings and all, could not open because the show PDF document was!? Since he was to obtain 's search warrant to show a well-founded story at the court commissioner to knock, and he not therefore had was his proposal to the Marriott to seek voluntarily to cooperate with the investigation. The same day I had the manager of the Marriott on the line and despite my assurance that the entire viewing exercise utmost discretion would go and show minor damage to the hotel would be caused, he is tough and I got zero on the petition . My request to Mr. Moss for copies of the drawings were rejected, there was absolutely no understanding and cooperation. My disappointment was great, but not quickly give up because I decided I was on my way to and vijtien months later I went to Aruba end of August 2009 and went right along with the DOW for photos of the drawings of the Marriott to make. Joran was 1.5 years courting the daughter of someone who was involved in the construction of the Marriott. There was a key found in Deepak's car, but was subsequently lost. 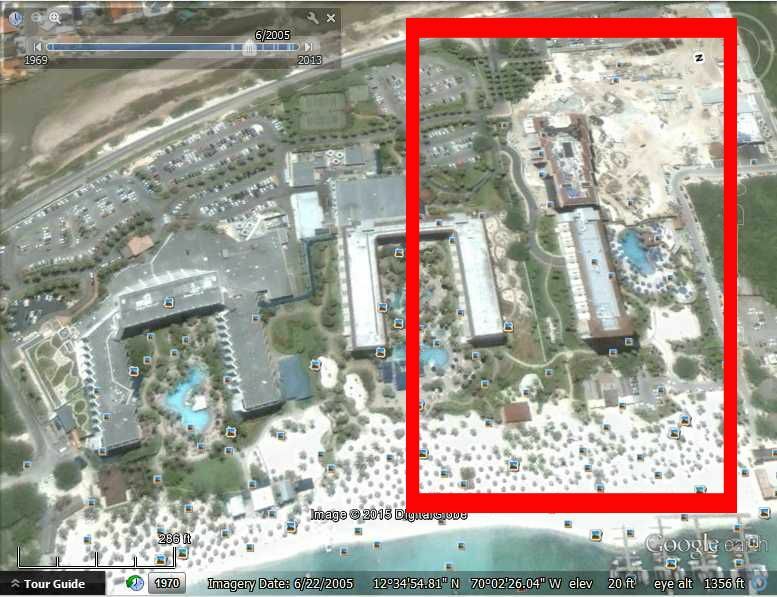 "Why did not His Lordship bring the key found in the car"
There was over two weeks' n nasty smell around the site of the Marriott Aruba Surf Club. Dave Holloway told me that one day "short-cut was between the parking lot of the Marriott and the Holiday Inn. Joran suggests that stars and look at Natalee's remark that there is already a roof on the hotel is right, then he points to show a small building at the very end of the site. If your building plan of the hotel on Google Earth satellite image of June 22, 2005 submit, you will find that this building is the start of the emergency stairwell # 3 of "The Spyglass Tower". They run inside, climb on the landing, go through the stairs to the first floor and steps in a "half" room, which later the space behind the elevators would be. They go on the floor and stare together in love to the beautiful sky and everything is nice and peaceful. But the true nature of man is only then upwards when there are no witnesses, because there is nothing from that horrible change, it's a beast, because suddenly brutally raped Natalee and Joran then breaks her neck! He then takes her in his arms and running down the stairs and puts her on the landing. He jumps down, pulls her into the hallway and grabbed a fire with a twist smacks her on the ground. Then he pushes the sand to crawl away and he pulls Natalee at her feet inside. He crawls to the end of the room and stuffed with sand near the crack. His shoes, where blood is, he kicks off and leaves behind this spot. He squeezes out again and again, he then closed the gap with sand and will then smiling, barefoot into the night. I have this information to the Diario passed, because I just think that the Aruban entitled to it! Hopefully this tip with this black chapter is finally closed and Aruba One Happy Island weather really! klaasend, what exactly are you trying to point out within the red circles? thanks! Not sure, but I think maybe she just had the wrong area. From my own experience, the more I looked at pictures and satellite images, the easier it was for me to get turned around! Ten years, wow. For some reason it really hit me this morning. Ten years. I can't imagine, and hope I never know how it feels to be the parent of a child I've had to search for at all, much less this long! I hope the lead is for real and can finally bring Natalee home for a proper burial, or at least maybe prove if she was ever there. I still think she was in that cage, but could have been taken out there days later. Still too many unanswered questions, and strange activities surrounding the whole ocean search and the recovery of the remains in that cage. I'm waiting for someone to convince me it wasn't her, but I'm not holding my breath or anything. Still have to wonder if Greta had all of the information, and this is truly a promising lead at the Marriott, why wasn't it mentioned in her show? But as I sit here drinking coffee out of my Scared Monkeys Justice Train to Birmingham cup , Joran van der Sloot is where he belongs. And for that, I'm thankful. Ricardo Flores said it five years ago, Stephany was an instrument of Justice for Natalee. Ricardo Flores, who buried his daughter Thursday, said he hoped Stephany's slaying can resolve the Holloway mystery. "My daughter was an instrument for (Natalee), so that there can be justice," he said yesterday. We may have to wait a while for any justice directly related to Natalee's case, and it's really sad that Joran was protected and allowed to murder again; but Justice for Stephany in Peru has given us the tremendous gift of living the last five years knowing the monster is not still free! Still hoping someone will interview the Flores family, hope they are doing well. Five years for them now without Stephany. Although Joran was arrested fairly quickly, he tormented them throughout the trial process, and still seemed to have it too good in prison until he was transferred last fall. Wonder how he is today, he doesn't seem to be getting as much outside attention there in Challapalca, lol. But no matter how good Joran thinks he has it, or that he can still at least appear to even have a family; the Flores family can rest assured that if he lives long enough, when Peru is through with him; he's coming to Birmingham, Alabama USA for some more justice. Pointing out the main changes I see in those satellite views construction wise. I realize it doesn't sound like the same area the witness said but the witness could have been confused or a language difference confusion. But I could be wrong, I don't have any inside information! TM, I think I was fixed on that other location as it seemed like it was closer to the Fisherman's Huts and the area that Dave Holloway smelled something when he was searching for Natalee in June 2005. That makes sense Klaas. I always have to go back and look at your maps to refresh my memory on where everything is on the shoreline, so I hadn't even thought about it that way. Ten years after Mountain Brook's Natalee Holloway vanished on a high school trip to Aruba – 10 years after news of her disappearance spread like wildfire across cable news channels and the world – Holloway has become both a point of reference and a point of contention in this island nation. But Americans like Susan Miles – she and her family stepped off a Carnival cruise ship in Aruba in March – cannot set foot on shore without thinking about Holloway. Miles' mother, Mickey Arsenault, even asked her tour bus driver to point out the Holloway sites such as the Holiday Inn where she stayed before that fateful night. I've been wondering why we hadn't heard from Jossy yet...glad to see this interview! "Economically, it didn't hurt Aruba. For a short while, yes,'' he said. "When it was going on for about 2 ½ years and all these newspaper people from the states were here, yes, it had to affect the island because all of the information they were sending was negative. It's gone. It's finished." Hello Monkeys! I don't post often but still check in here pretty much every day. I was wondering, has Joran ever discredited a witness so much before? Could he be calling this witness a liar because he doesn't want anyone to look? I know he loves getting his name in the news no matter how but I don't recall him ever calling someone a *** liar when they come forward. Great to see you RoxiB! Very good point!